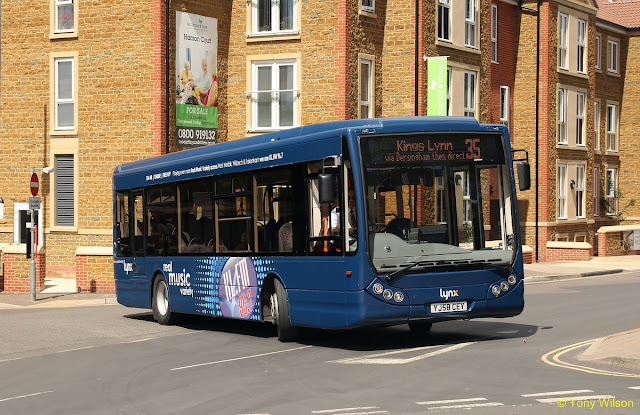 From Sunday 29th April 2018 we’re making several changes to our bus services in and around King’s Lynn and West Norfolk. This includes making changes to some of our more established routes, as well as commencing new routes that would otherwise no longer exist as a result of Stagecoach in Norfolk’s withdrawal from most routes in the area. As a relatively small, independent bus operator it has not been possible for us to replace all Stagecoach services on a like-for-like basis due to the relatively short timescales involved and also of the requirement to more closely match supply with demand, ensuring that routes are more sustainable in the longer term than had been the case. Demand on the new routes will be closely monitored over summer and changes made at a later date, where necessary. - There will now be up to four buses per hour operating in each direction on this route with an evening service introduced. 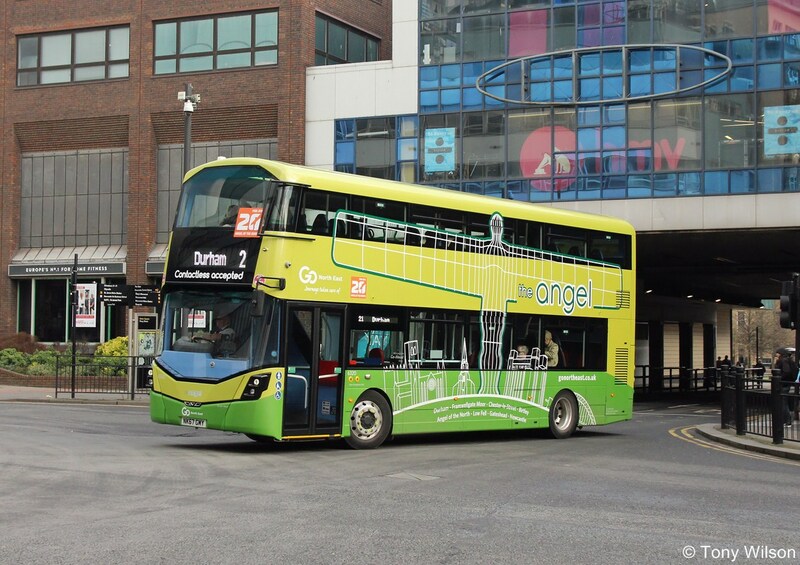 - Service 34 will be doubled in frequency (now up to every 30 minutes) to provide more buses to/from the Q.E Hospital. This route will now operate via Princess Drive in Hunstanton (not Oasis Way) and continue to operate via Mountbatten Road in Dersingham. - Service 35 will operate hourly with the routing revised to replace most of the withdrawn Stagecoach Coasthopper R route. This route will now operate via West Newton, Sandringham and Dersingham Manor Road/Chapel Road. - Coastliner 36 will operate hourly along the main road through Dersingham and Snettisham then Heacham and then continue at Hunstanton to Wells-next-the-Sea and Fakenham. 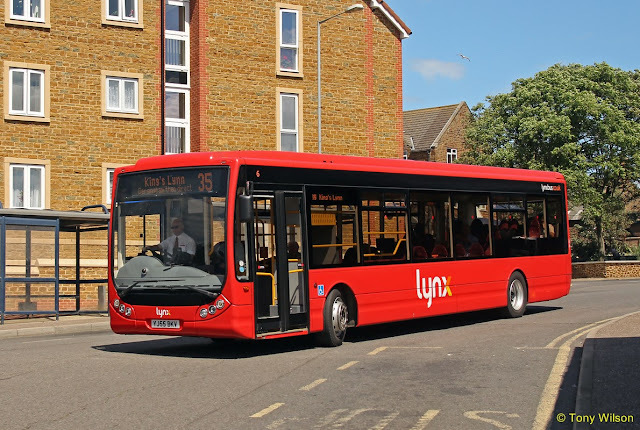 - This will replace the King’s Lynn – Hunstanton - Wells-next-the-Sea section of the former Coasthopper route on an hourly frequency, 7 days per week (with extra buses at certain times to make the service up to every 30 minutes). - At Wells-next-the-Sea the bus will continue onto Fakenham via Walsingham (also hourly) to provide a replacement for Stagecoach in Norfolk’s withdrawn Service 29. - The Wells-next-the-Sea – Sheringham – Cromer section of route will be operated by Sanders Coaches. Information on Coasthopper tickets will be published at a later date. - There will be minor changes to the timetable of this service with buses at either end of the route departing five minutes earlier than currently. - No changes to route or times. - Revised timetable with a slight reduction in frequency of buses on Monday to Fridays to reflect patronage of the service. - Service introduced to replace withdrawn Stagecoach in Norfolk Service 1. - Buses will operate every 20 minutes daytimes Monday to Saturday and every 30 minutes from 1800hrs to 2100hrs. - On Sundays and Public Holidays the service will operate every 30 minutes. - Unfortunately we’re not able to serve the King’s Reach section of this route due to the estates poor road design which means it’s not able to safely accommodate larger buses. - One return journey to/from school to replace the school bus 3 that was formerly operated by Stagecoach in Norfolk. - The daytime North Wootton – Reffley – Gaywood – King’s Lynn service 3 will be provided by West Norfolk Community Transport. - One Monday to Friday return shopping journey to town from Castle Rising and Wootton Road to replace part of the withdrawn Stagecoach Coasthopper R service which operated through Castle Rising village. - Service introduced to replace Stagecoach in Norfolk Service 46 between Wisbech and King’s Lynn via St Germans. - Service will operate hourly Monday – Friday and every 2 hours on Saturdays. - The Wisbech to March section of the route will not be operated by Lynx. The Wisbech to Marshland High School journey is being operated by West Norfolk Community Transport. - Service replaces withdrawn Service 67 with a revised timetable. The return journey from CoWA in the afternoon is numbered service 46. - Revised route means that Emneth Hungate and Marshland St James are no longer served by this service. Norfolk County Council are looking to source a replacement service for this section of route. - Replaces King’s Lynn to Fakenham section of the former Stagecoach in Norfolk service X29. - New timetable with buses running every two hours Monday – Saturday to reflect demand on this route. - Fakenham to Norwich section of X29 will be operated by First. Please note that former Stagecoach in Norfolk services 2 (North Lynn), 3 (North Wootton), 4 (Pandora Meadows), 5 (Gaywood Park) will be operated by West Norfolk Community Transport. The Coasthopper services between Wells-next-the-Sea and Cromer will be operated by Sanders Coaches and Service X29 (Fakenham to Norwich) will be operated by First.